Even Academy Award winners are suffering from financial woes this recession. Actor Nicolas Cage lost two homes in New Orleans worth a total of $6.8 million in a foreclosure auction Thursday. Birmingham, Ala.-based Regions Bank purchased Cage's 1140 Royal Street property in the French Quarter appraised at $3.5 million for $2.3 million. The bank, which has about 1,900 branches throughout the South, Midwest and Texas, paid $2.2 million for Cage's 2523 Pataniya Street property appraised at $3.3 million in the Garden District. New Orleans's civil Sheriff Paul Valteau said no other bids were made on the houses. Cage owed $5.5 million in mortgage payments and $151,730 to the City of New Orleans in real estate taxes, according to Valteau. Hancock Park Real Estate Co., a corporation through which Cage purchased both homes, is listed as the official property owner. Valteau said attorneys representing Samuel Levin, Cage's former business manager, set up the corporation so that Cage's name would not appear on the mortgage documents -- a common strategy among celebrities. Levin also was listed on the mortgage document as the agent for service of process, Valteau added. That agent is the officer appointed by a corporation to receive legal notices. Last month, Cage filed a lawsuit against Levin in California claiming that Levin duped the Hollywood actor out of more than $20 million since 2001 when he was hired. The suit said Levin "lined his pockets with several million dollars in business management fees while sending Cage down a path toward financial ruin." The suit went on to say Cage has "discovered that he is now forced to sell major assets and investments at a significant loss and is faced with huge tax liabilities because of Levin's incompetence, misrepresentations and recklessness. Rather than attaining financial security, Cage has been forced to dispose of significant assets in order to pay for Levin's gross misconduct." A reporter's calls to Levin's office for comment were not immediately returned. 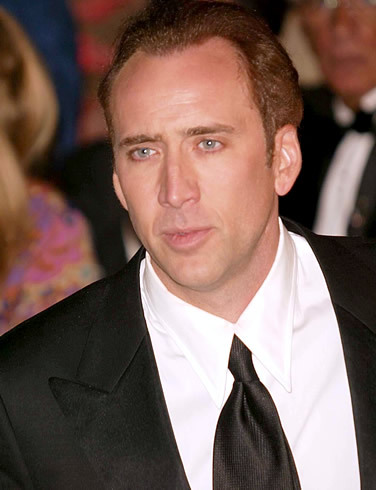 CNN reported that Cage owes more than $6 million in back taxes and his properties in California and Las Vegas have also been foreclosed on and are designated for auction later this month. The actor, who's known for his roles in Leaving Las Vegas and National Treasure, has 5 projects slated for 2010, according to the Internet Movie Database. Cage's publicist Annett Wolf said she had "no information and can't help" when reached for comment.